Homes for Sale in Spring Farm | Prospect, Kentucky | Spring Farm Subdivision | Joe Hayden Real Estate Team - Your Real Estate Experts! Learn more about Spring Farm Homes for Sale by browsing the property listings below. The Spring Farm Subdivision is located in Prospect, Kentucky. 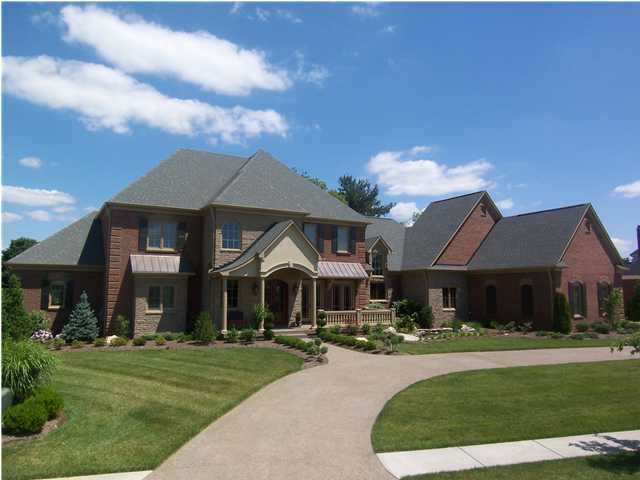 View all Spring Farm Homes for Sale on the Louisville MLS listings below! Spring Farm real estate is located off Wolf Pen Branch Road and Spring Farm Road in Jefferson County near Prospect, Kentucky. The subdivision of Spring Farm was developed approximately six years ago primarily by Wolford Builders on luscious farm land near the Gene Snyder Freeway. Surrounding the subdivision you will find several older estate and farm homes, some of them still located on working farms in the area, each adding great character to the area. These homes were originally developed as luxury custom homes during the peak of the real estate market in the mid-2000s to meet a growing demand for upscale living in a convenient location. If you are a resident living in Spring Farm, you will find yourself in a very convenient location near Prospect, one of the best areas in which to live in all of Jefferson and Oldham Counties. Residents also enjoy quick access to the Gene Snyder Freeway and Interstate 71 from the subdivision which is a significant reason why it is favored by home buyers as well. You can access the Springhurst shopping areas, all of the great local dining options such as the Bristol Bar and Grille, plus the new Norton Hospital that recently opened nearby. In addition, newer subdivisions in the area such as Norton Commons are going to help the area thrive and have a positive affect on general home values. If you are in the market for a luxury custom-built home, then you should give consideration to researching the Spring Farm subdivision. You can search the Louisville MLS listings below for all Homes for Sale in Spring Farm before you make your decision to buy a home.